With rising temperatures and increased consumer demand, grocery stores, supermarkets, pharmacies, and the warehouses that supply them are moving and selling ever-increasing volumes of bottled water. When palletized, these products can pose significant risks to workers in our industry as a recent deadly tragedy illustrates. In mid-March, a Kroger employee working in the back room of a store in Franklin, Ind. was crushed by falling pallets of water. Five days after the accident, the employee died. The Indiana Occupational Safety and Health Administration (OSHA) investigated the accident and fined Kroger $17,000 for unsafe working conditions. 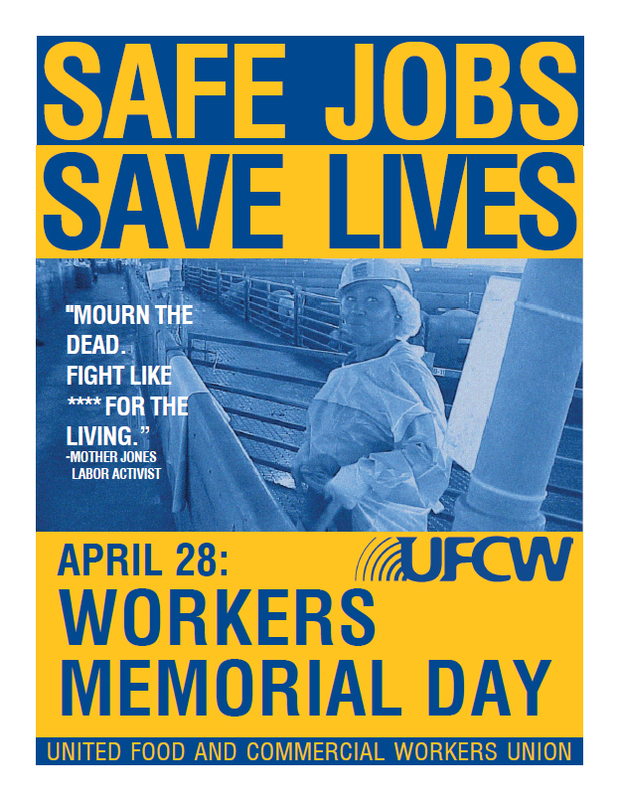 This tragic incident and others like it are preventable – especially if UFCW members and locals take action for safety today. Don’t transport double stacked pallets beyond the distance necessary to remove them from a truck. Double-stacked pallets are inherently unstable, and when they have liquids (like bottled water) as cargo, they often exceed the safe weight limits for forklifts. Avoid double stacking pallets when storing them. Carefully monitor the stability of pallets at all times. Don’t attempt to straighten pallets that have begun to shift. Unload the pallet instead. Maintain a clear safety area around pallets when they are being moved. All forklift operators or other powered-equipment operators must be trained and certified. This is an OSHA requirement – check for proper recordkeeping. Palletized bottled water is especially dangerous because of the high volume moved, the heavy weight involved, and increasingly thin plastic causing cases to be unstable. In addition, the limited amount of floor space in the back of grocery stores often leads to water or other heavy unstable products, being stacked higher than safety permits. Kroger and UFCW Indiana locals have learned from the tragic accident in Franklin and are actively working to prevent future injuries or deaths. We urge you to do the same before something similar happens in your stores. Dakota Dunes, S.D. – The nation’s leading meat processor and the country’s largest union representing meatpacking and food processing workers have just completed the 20th year of a workplace ergonomics program that is making meat processing jobs safer. The ground-breaking program initiated by Tyson Fresh Meats, formerly known as IBP, and the United Food and Commercial Workers (UFCW) union, has involved workplace improvements that have helped reduce worker injuries and illnesses, such as strains and sprains. Ergonomics, which is the science of designing the workplace to fit the worker, had not been extensively used in the meat industry until the company and union reached an agreement after an historic OSHA citation and settlement in late November 1988 followed up with the joint Tyson-UFCW program to develop a comprehensive ergonomics research program. The program got underway in early 1989, with the company’s Dakota City, Nebraska, beef complex serving as the pilot plant, and production workers represented by UFCW Local 222, were actively involved. 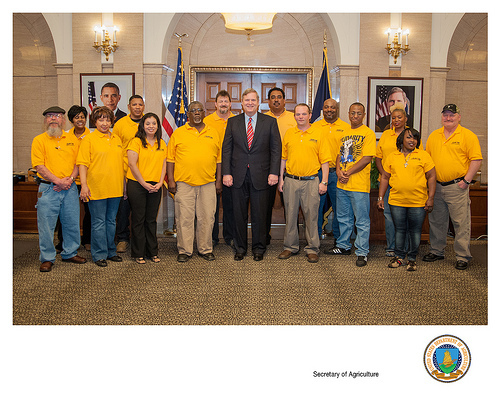 Due to the success of the pilot, the program was quickly expanded to all of the company’s beef and pork plants. Some of the key elements of the program include ongoing ergonomics training for production workers; the involvement of hourly workers as ‘ergonomic monitors;’worksite analysis and the redesign of work stations and equipment; and a medical management program focused on early detection and treatment of workplace injuries and illnesses. Tyson and UFCW leaders believe the program has made a difference. For example, the OSHA recordable injury and illness rate at the Dakota City plant is currently running 67 percent below the rate recorded in 1991. Meanwhile, the current rate of injuries and illnesses at Dakota City requiring the involvement of a physician is 73 percent below 1991 levels. Tyson has been involved in numerous engineering projects designed to modify work stations and equipment in order to reduce physical stressors on the job. Examples include redesigned knife handles, height-adjustable work stations, use of lighter-weight saws/power tools, hydraulic/mechanical assists to lift or separate product, lower overhead chains and conveyors to eliminate reaching over shoulder height, product diverters on conveyor lines to bring product closer to workers, comfortable/level floor surfaces, improved illumination and job rotation. The company has also worked to reduce the vibration generated by certain tools and modified personal protective equipment to make it fit better and be more comfortable. Ergonomics were part of the design of Tyson’s new, multi-million dollar beef processing floor at Dakota City. The new addition, which became operational in early 2006, includes adjustable work stations as well as a production flow designed with worker safety and health in mind. Tyson Fresh Meats currently operates eight beef plant and six pork plants in the United States. In addition to Dakota City, this includes beef plants in Amarillo, Texas; Denison, Iowa; Joslin, Illinois; Emporia, Kansas; Finney County, Kansas; Lexington, Nebraska; and Pasco, Washington. The company’s pork plants are in Logansport, Indiana; Louisa County, Iowa; Storm Lake, Iowa; Perry, Iowa; Waterloo, Iowa; and Madison, Nebraska. 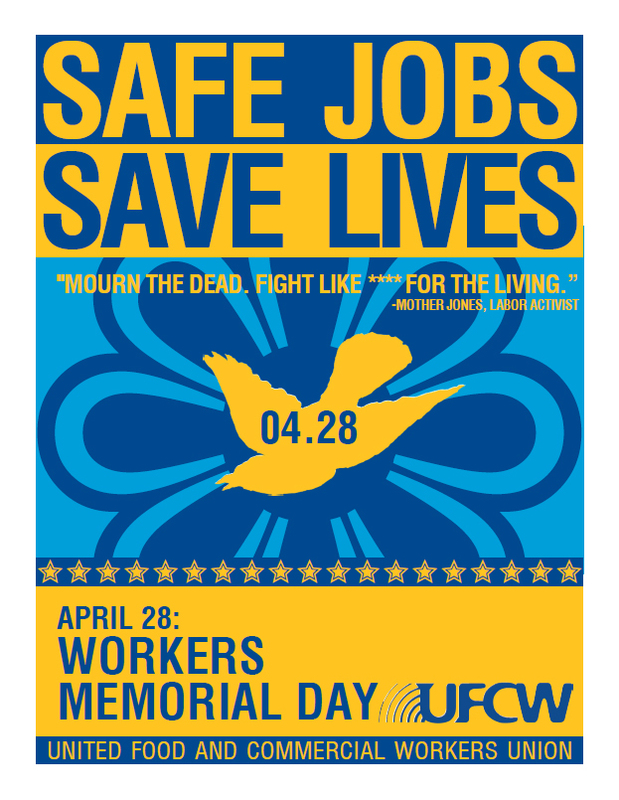 The UFCW represents workers at Tyson plants in Dakota City, Joslin, Perry, Logansport and Waterloo. Tyson Foods, Inc., founded in 1935 with headquarters in Springdale, Arkansas, is the world’s largest processor and marketer of chicken, beef and pork, the second-largest food production company in the Fortune 500 and a member of the S&P 500. The company produces a wide variety of protein-based and prepared food products and is the recognized market leader in the retail and foodservice markets it serves. Tyson provides products and service to customers throughout the United States and more than 90 countries. The company has approximately 117,000 Team Members employed at more than 300 facilities and offices in the United States and around the world. Through its Core Values, Code of Conduct and Team Member Bill of Rights, Tyson strives to operate with integrity and trust and is committed to creating value for its shareholders, customers and Team Members. The company also strives to be faith-friendly, provide a safe work environment and serve as stewards of the animals, land and environment entrusted to it. 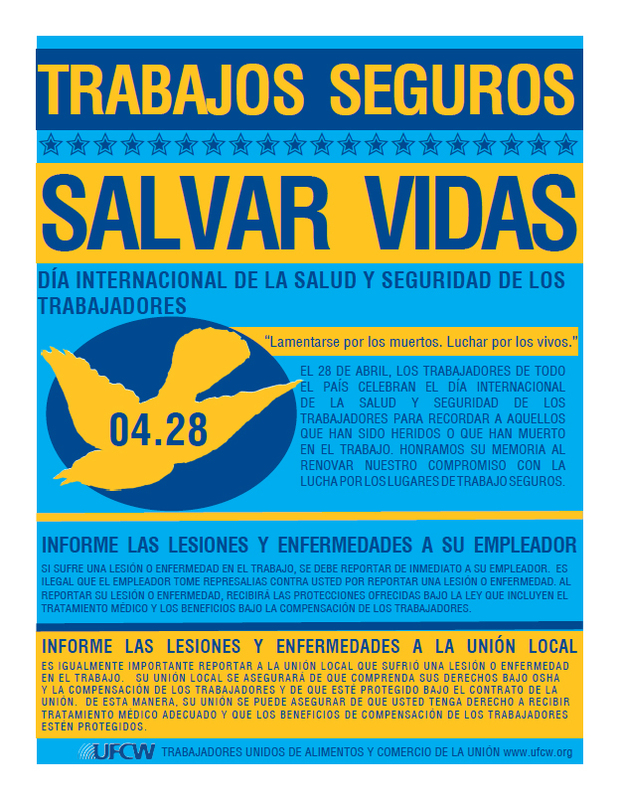 The UFCW represents 1.3 million workers, 250,000 in the meatpacking and poultry industries, including 22,000 who work at Tyson plants. 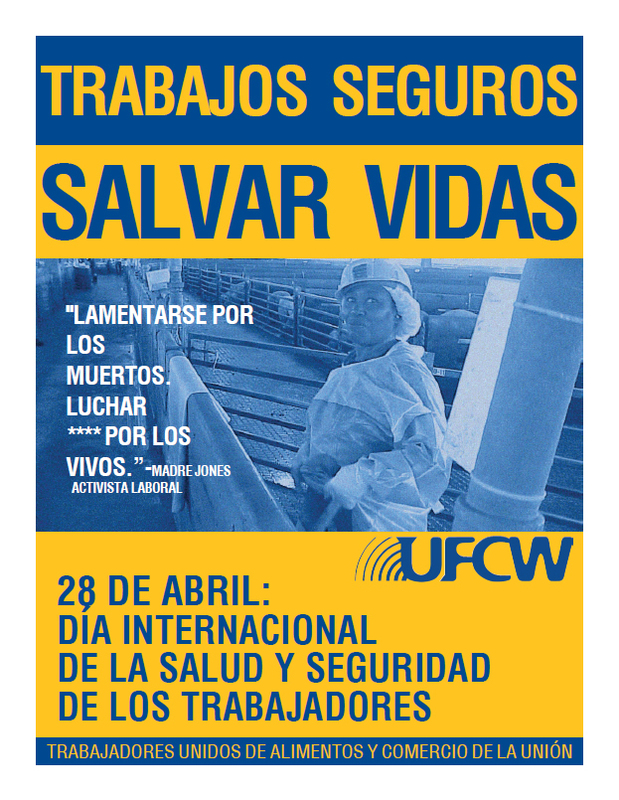 UFCW members also work in the health care, garment, chemical, distillery and retail industries. The UFCW and its predecessor unions have represented workers in the packing and processing industries for more than 100 years. Union contracts in the industry ensured equal pay for equal work for African Americans and women decades before equal pay became a larger societal goal. 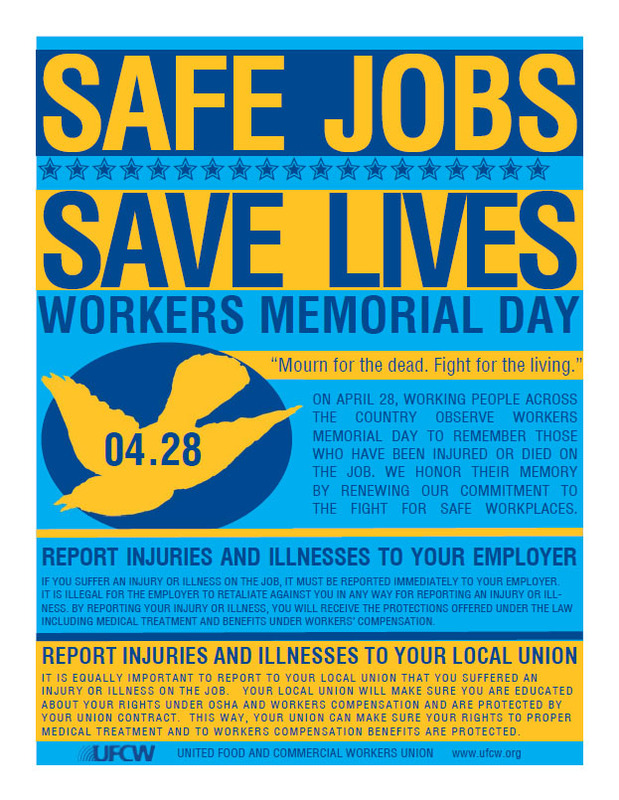 The UFCW has also been a leading national voice on workplace safety and health, helping spearhead protective federal legislation and OSHA regulations on waste containment, ergonomics, diacetyl, and combustible dust, among other initiatives.